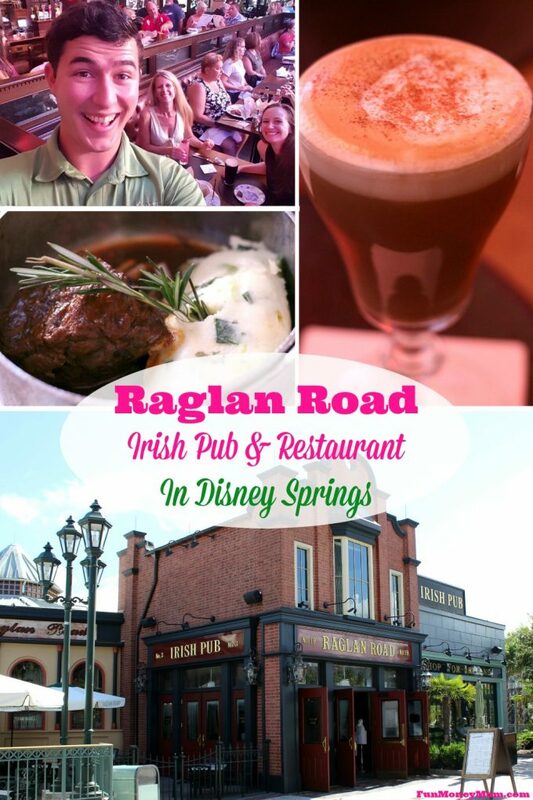 Find out why Raglan Road Irish Pub & Restaurant is one of my favorite places in Disney Springs, with or without the kids! I love Disney Springs! There are so many things to do and I always have a great time. Recently my friend Hannah (from the awesome blog Eat, Drink & Save Money) and I met there for a fun girls night out! We started by spending the day checking out all the fun new stores and restaurants. When it was time for dinner, I decided to introduce her to one of my favorite Disney Springs restaurants. 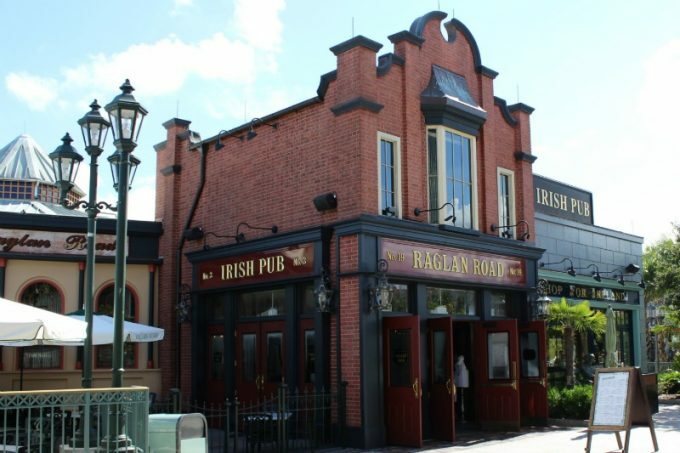 Raglan Road Irish Pub isn’t just my favorite…my entire family loves it. My hubby is very proud of his Irish roots and this gives him a little taste of Ireland. The just love it because it’s so much fun! 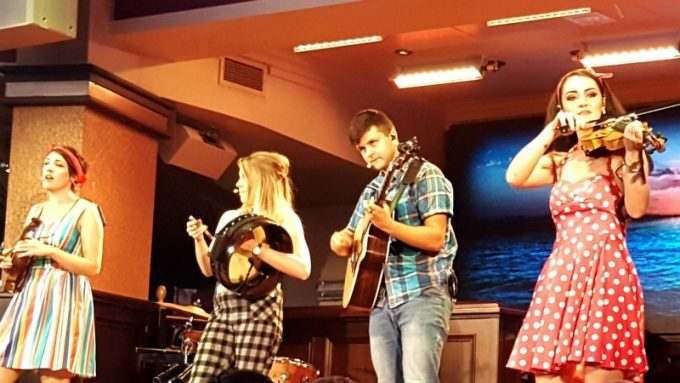 Not only does Raglan Road serve authentic Celtic food, they also have live music and “Lord Of The Dance” style dancing. 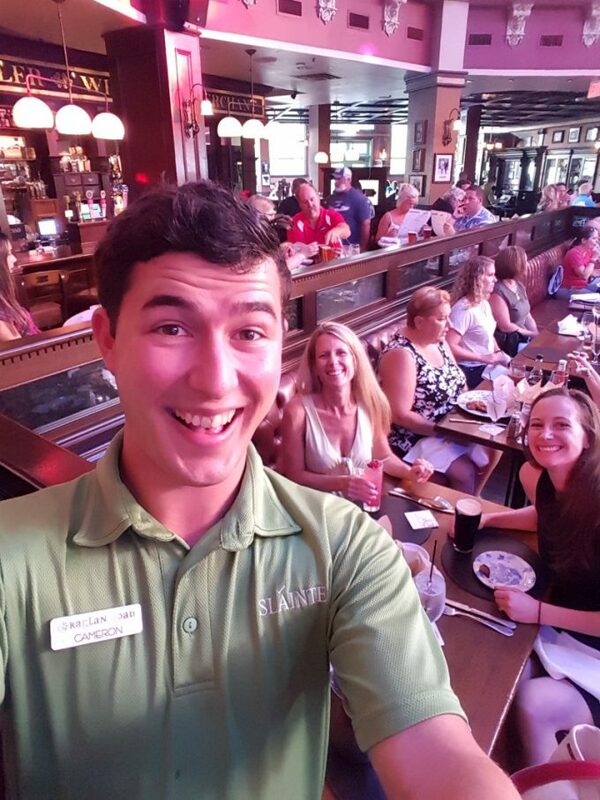 If you prefer to sit on the patio, you can kick back with some live music there too. What’s nice about this place is that it’s a great night out, with kids or without. When I come with the family, the girls are so entertained by all the Irish music and dancing that Jon and I can sit back, relax and enjoy our meals. They’ve been so into it at times that Jon and I have actually had a full conversation without interruption…crazy, I know! This time though, it was girl’s night! Hannah and I each have two little ones so we’d definitely earned some mommy time. The hostess showed us to our seats and we were lucky enough to get a table near the stage. The entertainment is always great and this night was no exception. I don’t think I could ever get tired of Irish music! We settled in and ordered some drinks. When our waiter came by to deliver them, we asked if he would take a quick picture. I think he misunderstood our request. The drinks were refreshing and the food was even better. 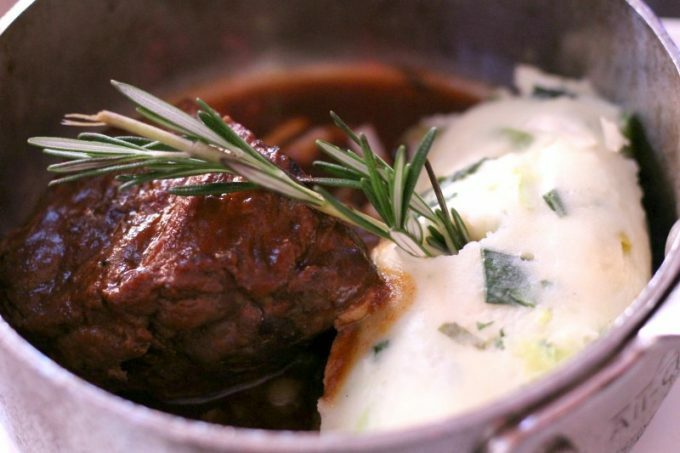 I ordered the Braised Beef and it was melt-in-your-mouth delicious! 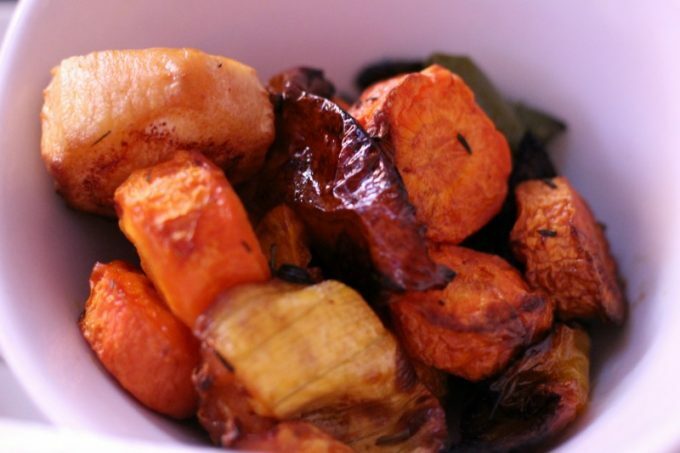 The meat was so tender and the roasted veggies and colcannon mashed pototatoes complimented it perfectly. I’m not usually a meat & potatoes girl but this may just be my new favorite item at Raglan Road. 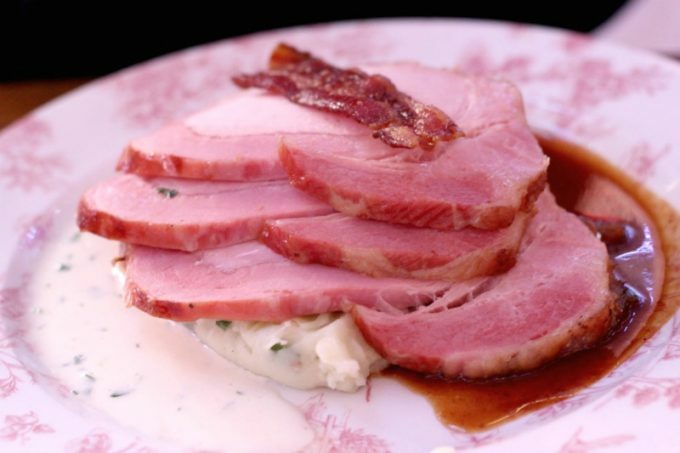 Hannah had Kevin’s Heavenly Ham over colcannon potatoes and topped with a parsley cream sauce…yumm! Dinner was so good that I completely finished mine off and couldn’t even think about dessert. 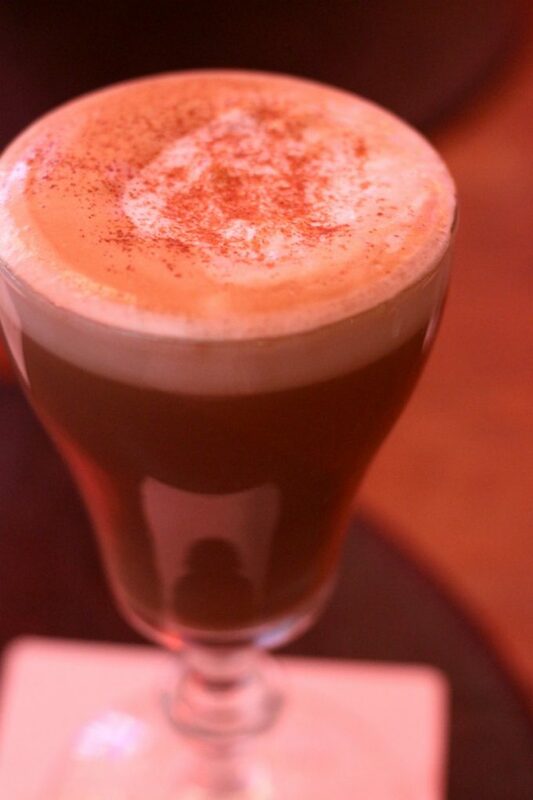 I did, however, make room for this Pumpkin Baileys Coffee after it came highly recommended by our waiter. I’m glad I listened…it was the best coffee drink I’ve had in awhile (or maybe that’s just because my usual coffee drinks aren’t spiked with Baileys)! We had a great time and Hannah totally got why this is one of my favorite places! 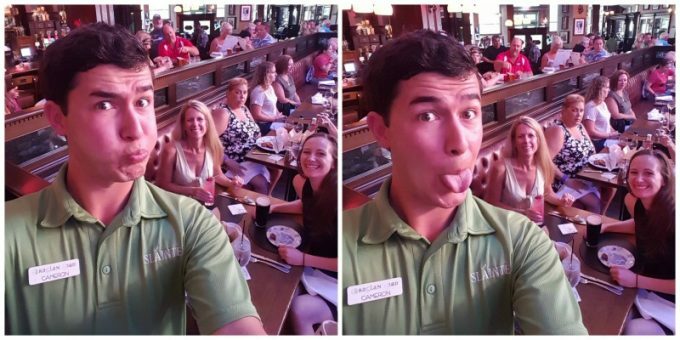 If you’re heading to Disney Springs, you’ll want to check it out…and don’t forget to ask your waiter to take a photo! 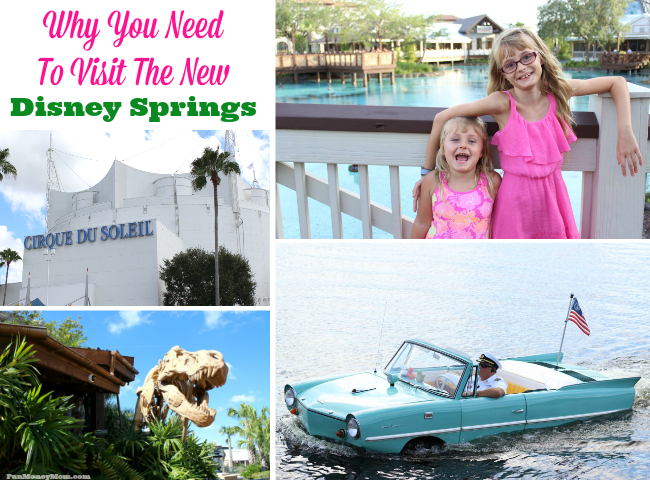 Have you been to the new Disney Springs yet? If so, which places are your favorites?